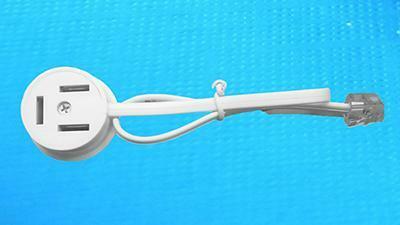 In addition to our standard product catalog, we can also provide OEM services to our customers. 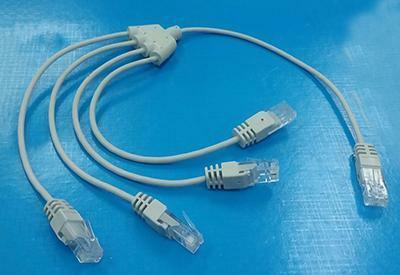 OEM products include: DSL filter splitter, telephone adapter, network cable, telephone line, etc. In addition to providing OEM to our customers, we also offer ODM services to various customers. We have 6 experienced designers, are equipped with electroacoustic testers, anti frequency analyzers, network analyzers, oscilloscopes and EOX2800 RoHS analyzers and other equipment to ensure our design capabilities and efficiency meet our high standars. Besides we also have a large number of production equipment and 150 employees to ensure our production efficiency. Solution: connected one PCB to the cable and connected 4 interfaces by tinplating. The product was named FX-LTP4. Feedback: our French client was very satisfied with our solutions and we still cooperate today. Requirements: the original supplier of the client had closed down. The client needed the product urgently. The product was then named FX-DM13-6P2C. Solution: after discussion, according to customer's requirements we arranged open mold production and sent the sample to them for confirmation. Feedback: The customer confirmed that the sample was OK and ordered for formal production.